To be the world’s leading designers and manufacturers of satellite communication equipment. Saving lives, improving safety and enhancing communications worldwide through the design and development of advanced satellite communications. Beam Communications is dedicated to saving lives, improving safety and enhancing communications for the people and companies that work in some of the most hostile and remote regions of our planet. Through our innovation, creativity and technological expertise, we design products and services that are at the leading edge of the satellite industry, helping to solve some of the most challenging communications problems. 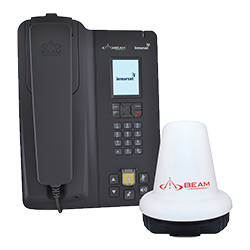 Established in 2002, as a subsidiary of ASX-listed World Reach Limited, Beam started out as the developer of a satellite terminal for local Australian telco, Telstra, for use on the Iridium satellite network. The success of the terminal gave us an opportunity to increase distribution into Asia, the United States, Europe and the UK and led to our recognition as a designer and manufacturer of satcom equipment, on a global scale. Further success followed with the development of various world-renowned products such as the world’s first Iridium docking station for Telstra and Priority Service Units, remote community telephones, highway emergency concepts, data modems and further voice, data and tracking products. Our business was now strategically positioned with the widest range of satellite communications terminals and accessories globally for the Iridium network. In 2009, our strategic product development team secured a major development contract with Inmarsat for four specialised docking stations for their first handheld satellite phone enabling us to access Inmarsat’s key markets in China, Japan, Singapore and South America. 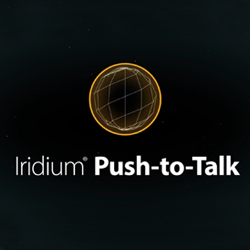 Then, in 2012, we had the opportunity to land a major development contract with Iridium for a dedicated branded terminal later launched in 2014 as Iridium GO!®. This terminal enabled unprecedented access to the Iridium network. Today, we continue our dedication to increase our product portfolio in the creation of market leading products and services, to provide mobile satellite solutions to all market sectors. Our extensive strategic distribution network includes the biggest names in the mobile satellite telecommunications industry. These partners cover thousands of distribution points across every continent, providing global access to Beam products. Through our constant focus on R&D, excellent industry relationships, our new and original products and through acquisitions of synergistic businesses, we strive to become the supplier of choice for satellite communications terminals, accessories and value added services.